Great post! Just was wondering what to read next – some good ideas here. Thanks Vicky. We hope you enjoy quite a few off this list. And HAPPY SUMMER READING! 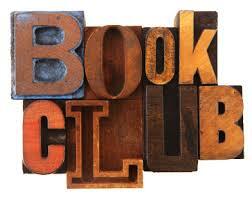 One of the best that my book club ever read was Jeremiah’s Ghost by Isaac Constantine. Jeremiah’s deeply personal journey of identity covers several sensitive issues that most of us can relate to in some way. These themes can provoke some really fascinating debate in a more serious book club. Jeremiah is such a well written, complex character and the author does a wonderful job in this book at providing a thorough insight to his mind. We discussed Jeremiah from all kinds of angles for hours and really loved exploring this story further. An absolutely top book club read. Thank you for bringing this book to our attention. And Happy Reading!